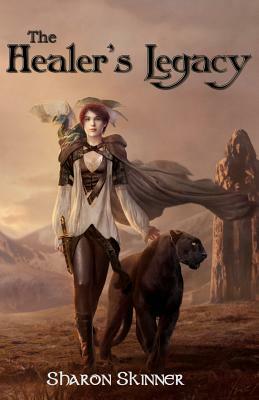 THE HEALER'S LEGACY YA/Crossover Fantasy An incredible debut fantasy novel from author, Sharon Skinner. Orphaned by war, haunted by unknown origins, and chased by a warlord and his army of brutal soldiers. KIRA is a young woman with a secret. She can psychically communicate with animals. She is also on the run from her abusive mate Toril, the hero turned warlord, who led the country's forces to victory against the outland raiders. Only that was before his love of power consumed him. Now, his only focus is on tracking down Kira and making her punishment an example of his power. But the quest for freedom isn't the only struggle Kira faces. She must also come to terms with her past choices, whose echoes drive her present. And now, the future of the land and people she has come to love depends on the decisions she will be forced to make. Author Sharon Skinner takes us on an extraordinary and emotional journey, where survival is about more than life and death, and healing takes more than medicine. The Healer's Legacy is an unforgettable story and a captivating reading experience.